If you run a website, there’s a very good chance that you want people to visit it. But how do you drive traffic to your website? What can you do to make more people visit? 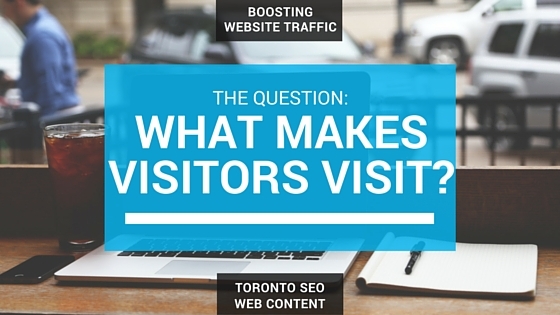 A good way to figure this out is to consider what draws visitors to a website. How do you do that? Well, a good place to start is by thinking about why you visit a website. When you’re looking for something online, you likely head to your chosen search engine (Google or Bing, most likely) and search for whatever you’re looking for. You’re then presented with a bunch of results. Which one do you click? Well, a lot of people click on the top result. In fact, a 2013 study found that the top result on Google got 33% of the traffic. That makes sense. Your search engine has told you that this result is the most accurate one for your search term. But the top result might not be what you’re looking for or, if it is, you might still want to read a bit more before you click. This is where the page title and page description come into account. Google often uses the meta tags set by the site to display this information, but not always. Either way, having well-written meta tags as well as well-written overall content helps. A person searching is much more likely to click on a search result that makes sense than one that is poorly-written or spammed with keywords and phrases. If a visitor doesn’t find what they’re looking for on your website, they’re not going to stick around. In most cases, it takes only a couple of seconds for someone to figure out if they want to remain on your site. A 2014 article in Time stated that 55% of people spend less than 15 seconds on a website. This is likely even shorter on mobile devices and more and more searches are being done on mobile. Your website needs to grab the visitor’s attention. Attention can be grabbed in a number of ways. An exciting photo can keep someone on a page longer. A pleasing web design can do the same. However, the writing on your website is, by far, the best way to attract someone’s attention and keep them on your website. The key to creating a great website is to create the best possible experience for your audience with original and high quality content. If people find your site useful and unique, they may come back again or link to your content on their own websites. This can help attract more people to your site over time. How do you do this? According to Google, it’s important to have content that is useful and informative, valuable, credible, engaging and of high quality. Need help creating unique content that draws visitors into your website? Contact us today! Web Content Writing Bing, Google, Increase Website Traffic, Web Content Writing, Web Copywriting Tips, Website Promotion, Writing for the web. permalink.